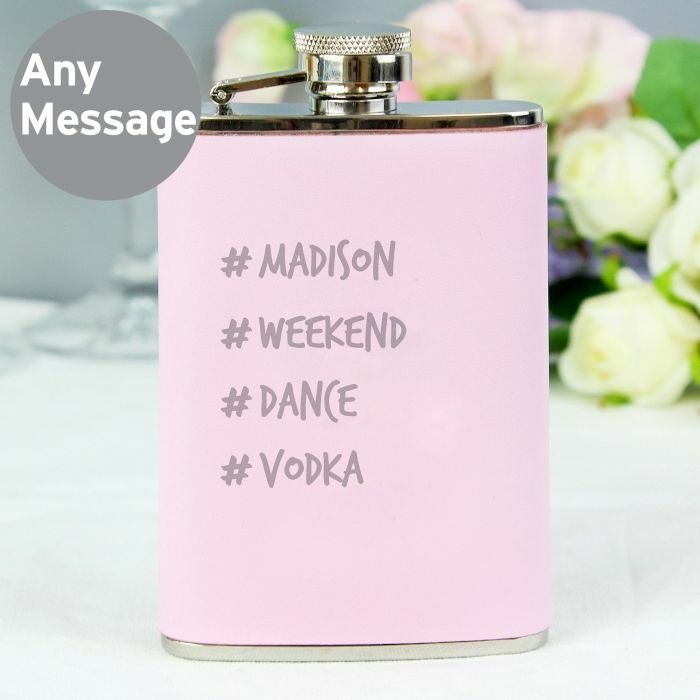 You can personalise this awesome 3.5oz hip flask with 4 lines of text up to 12 characters per line. All personalisation will appear in UPPERCASE. 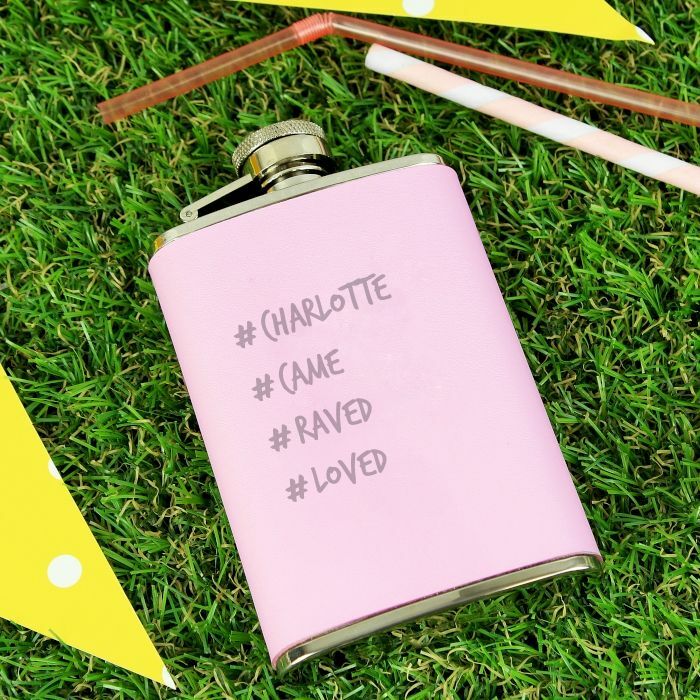 This Hip Flask comes presented in a gift box. 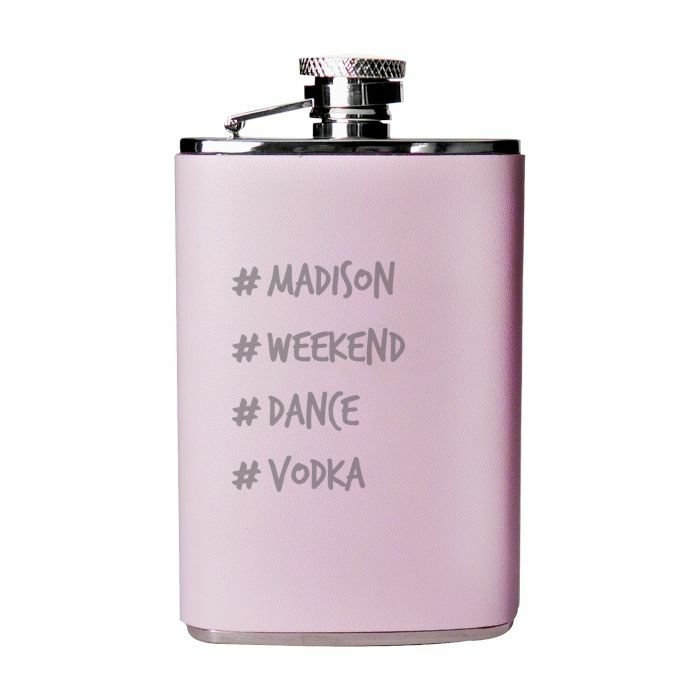 The material of this product is stainless steel with a pink leather finish. 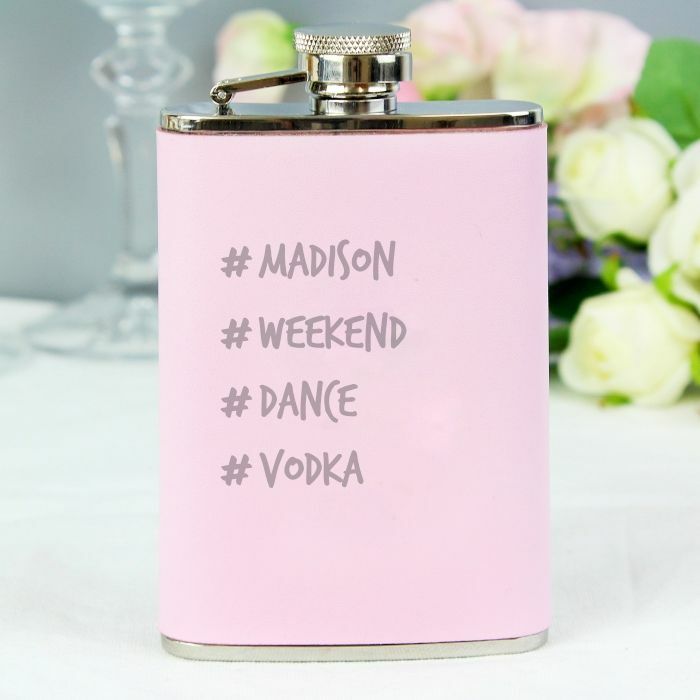 Perfect for Mother's Day, Birthdays, Christmas, Valentines.